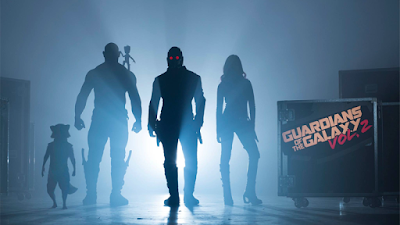 We have a major Guardians of the Galaxy Vol. 2 update today! Marvel dropped three big pieces of news this morning about the superhero/space saga, which opens May 5, 2017. News flash number one: Marvel revealed the first cast pic, showing the team surrounded by rock music amps - see above. Okay, the pic doesn't actually show much, but look closely. That's Baby Groot standing on Drax's shoulder! Let that sink in for a moment - Baby Groot will be in the entire movie. Next, Marvel confirmed a casting rumor about veteran badass actor Kurt Russell. The studio revealed Russell will indeed appear in GotG Vol. 2, however they didn't say who Russell would play. Star Lord's dad, perhaps? And finally, the Marvel Cinematic Universe just increased its superhero population by one - and she's a beautiful, telepathic martial arts expert. 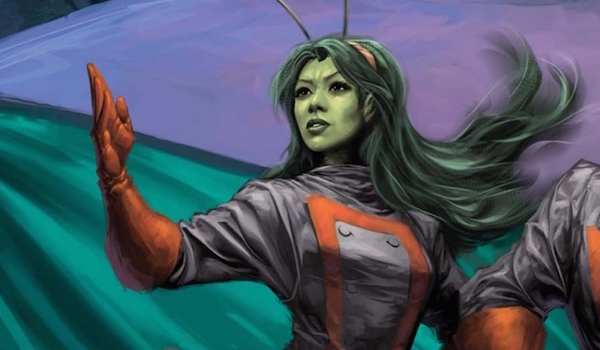 "Mantis is the half-Vietnamese, half-German daughter of Gustav Brandt—Libra—and was born in Huế, Vietnam. In her childhood, her father leaves her in Vietnam at the Temple of the alien Priests of Pama, a sect of the Kree. The Kree believe she might become the Celestial Madonna and mate with the eldest Cotati on Earth to become the mother of the Celestial Messiah, "the most important being in the universe"." What do you think about this Guardians of the Galaxy Vol. 2 news?